Every Friday night, we have family night at our house. After enjoying a meal that everyone like (no brussels sprouts or cabbage on Fridays! ), we typically snuggle up to watch a movie together. If you’ve been reading the blog for awhile, you know how much I LOVE books. I’m a huge advocate for literacy and long to see the day when all kids choose a book over a screen. 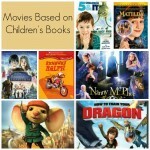 One of my favorite posts of all time is my 100 Chapter Books You MUST Read To Your Kids. Books are magical, and families need to spend more time together reading and sharing stories. However, there is something really special about enjoying a movie together as a family. (Great) Movies have a way of inspiring you. They can spark creativity, ignite new ideas, and even encourage reluctant readers to pick up the book their favorite film was based on. Movies get people talking, sharing, and connecting. They make us more aware of our feelings and are terrific vehicles for higher-level conversations. They motivate us to share OUR story. Movies are a one-of-a-kind medium. Because I have a love of lists, (always have – always will! ), I thought it would be fun to create a unique resource for families that details what I think are 100 movies you NEED to watch with your kids. 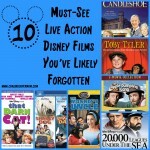 These films are classics and are sure to help your family create some memories. Pick up a few on the list, make a list of your own, and plan a few family nights. Snuggle up. Pop some corn. Pour some root beer. Sit back and ENJOY these stories with your kids and family. 55. Miracle on 34th St.
Did your favorite make the list? Is there another film you feel should be on the list? Leave me a comment and let me know YOUR favorite. 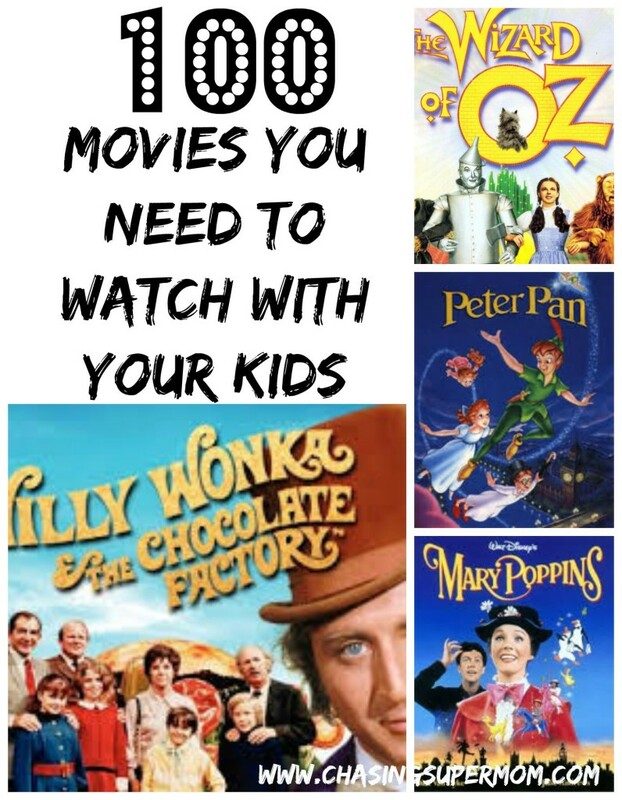 Have fun watching movies and making memories with your kids!